It does not matter what your nationality, on St. Patrick’s Day, everyone can pretend to be a little bit Irish. 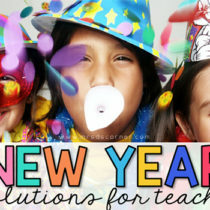 Make this year’s celebration one that your students will remember for years to come. It does not take a lot of money, or a lot of preparation to create a fun St. Patrick’s Day. Try some of the ideas below to get your students excited! On cut-out four-leaf clovers, have your students write silly rhymes and poems. This is a great way to preview some of the types of poems that you will be studying for Poetry Month. It is also a good way to review for upcoming Standardized Testing. Hang the shamrocks on a bulletin board, over your white board or save them to include in your students’ end-of-the-year portfolios. Get creative with this next activity that will have your students working together to solve riddles. Create a scavenger hunt to find things that a visiting leprechaun left behind. The class can work together, or you can create different scavenger hunts for teams. You can also have the students find different items, or they can collect shamrocks as they complete the hunt. Use a clue such as, “Little Leprechaun left a shamrock on page 12 of a book about a cat in a hat”, for students in lower elementary grades. With a clue like the previous one, you would then put the next clue on the shamrock inside The Cat in The Hat. Cooperative learning, problem solving, and reading will be in full swing as your students search your room (or the school!) for clues. Graphic organizers are a great tool for students and when you combine them with milkshake making, it is a win-win situation for all. Encourage students to make a detailed flow chart describing the steps needed for making a mint chocolate chip milkshake. Have younger students draw pictures and older elementary or middle school students write out the steps. Once the directions have been completed, test out your students’ accuracy by making milkshakes. Be sure to use the green mint chocolate chip ice cream for St. Patrick’s Day. Do not forget to wear your green and encourage your students to get in the holiday spirit. One of the best things about being in the classroom on a holiday, is that you can dress up in clothes that you might not otherwise wear out of the house and your students will be thrilled. When you get excited about a fun St. Patrick’s Day activity, your students will too. Have a really good St. Patrick’s Day!